Soup is a lot like family: each ingredient enhances the others, each batch has its own characteristics; and it needs time to simmer to reach full flavor. Soups and winters go hand in hand. And that's the reason I got a Soup Maker as a Valentine's day present from my husband. I've been trying a lot of soup recipes ever since and it's warm and comforting in these cold, snowy evenings. Sometimes I try to replace my dinner with a hot, comforting bowl of soup these days. It's warm, flavorful and healthy. 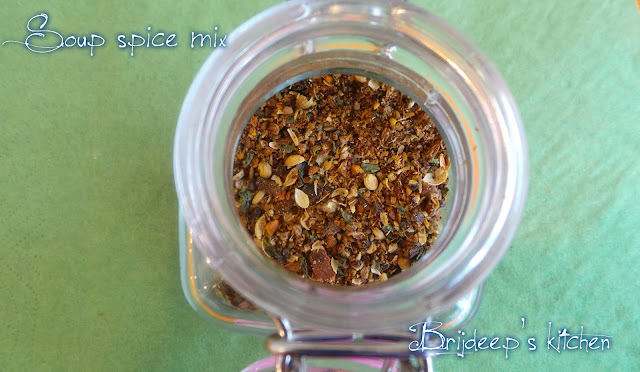 But here's the soup spice mix that makes my soup delicious. This soup spice mix is made of Indian spices and Indian spices are well known for their wonderful properties if consumed in limited amounts. 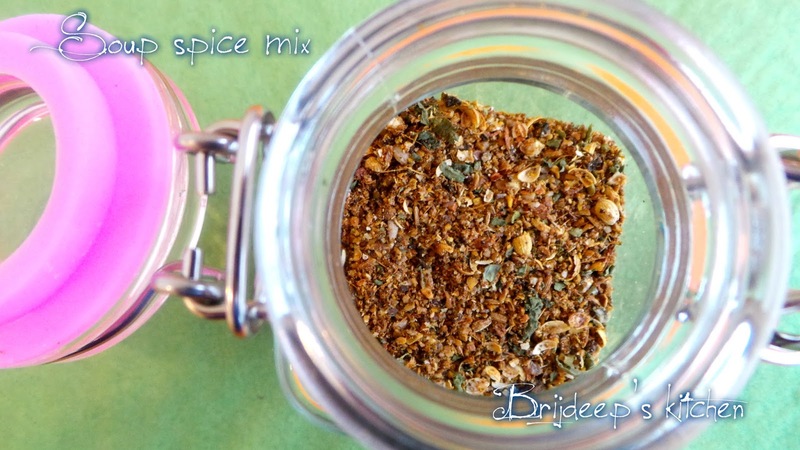 So here's the mix made with these spices: just add a tsp. 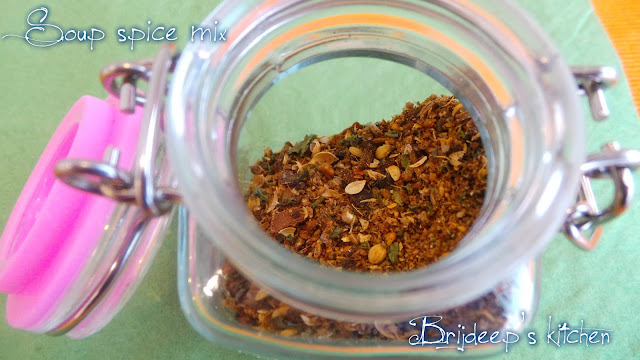 of this spice mix while your soup is simmering and feel the difference. 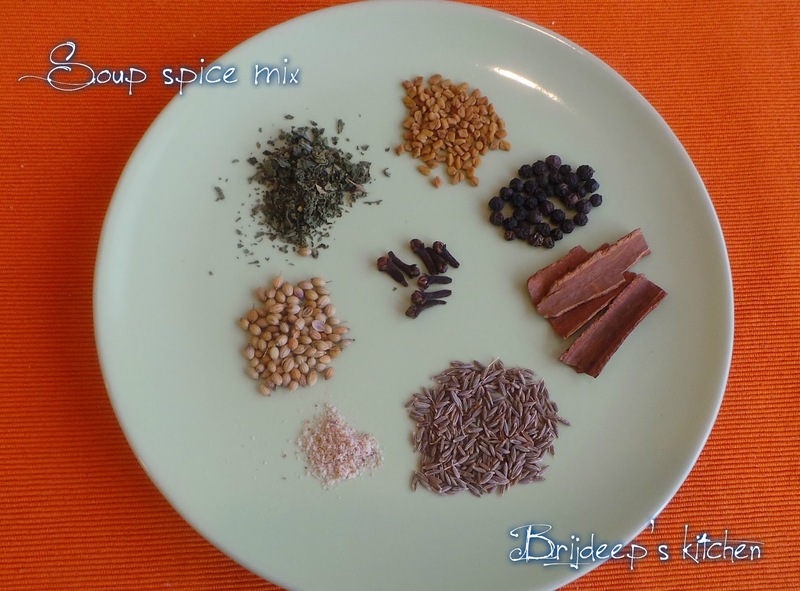 Dry coriander leaves powder: 1 tsp. 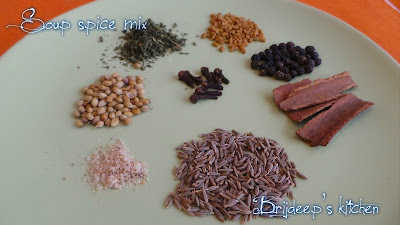 Dry roast all the ingredients except dry coriander leaves powder and asafoetida: cumin, coriander, cinnamon, cloves, peppercorns and fenugreek. Grind to a fine (or coarse) powder. 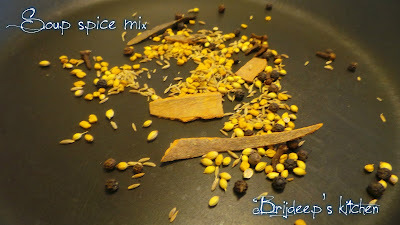 Add the dry coriander leaves (crushed) and asafoetida. Mix everything well. Store in an air tight container and add a tsp. 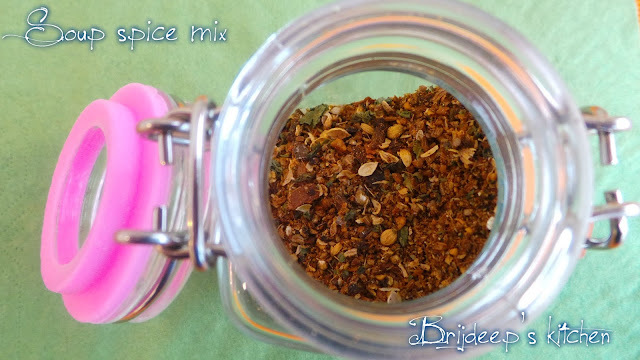 or more (according to choice) of this amazing spice mix while your soup is simmering and feel the difference in taste! Loved this post? Kindly leave your comments/feedback in the comment section below. 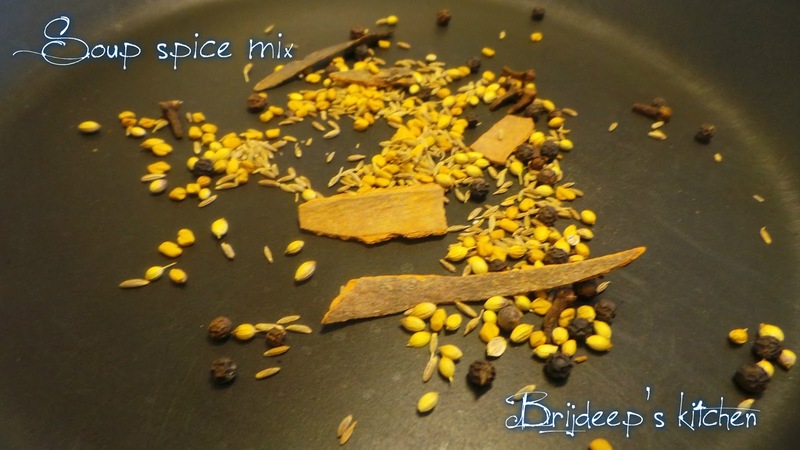 Don't forget to connect with me on Facebook for regular recipe updates from my kitchen.